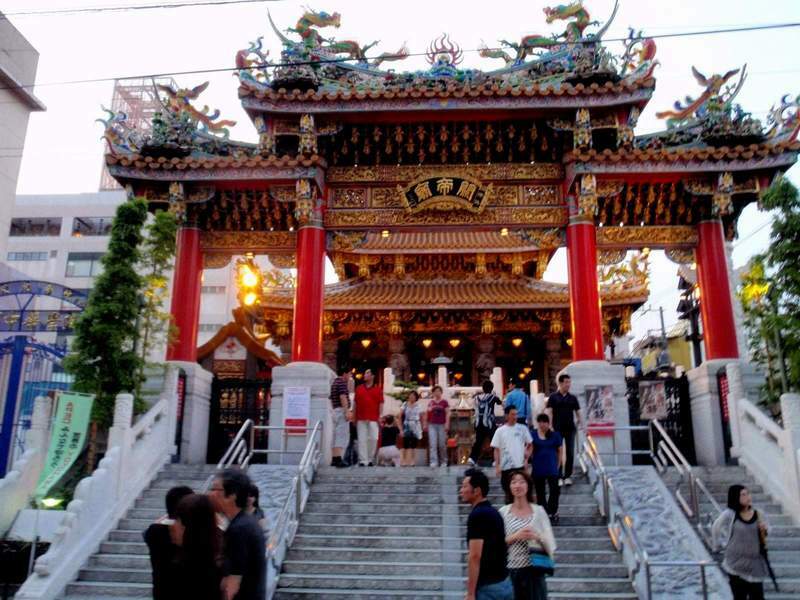 The chinese neighborhood of Yokohama is the largest Chinatown in Japan, and it is called Chukagai in japanese. It is a relatively historic area that began to form when in 1859 the city's port was opened to trade with other countries, so also with China. This area is now becoming less and less a residential neighborhood and more and more a tourist area full of shops and restaurants of Chinese cuisine. 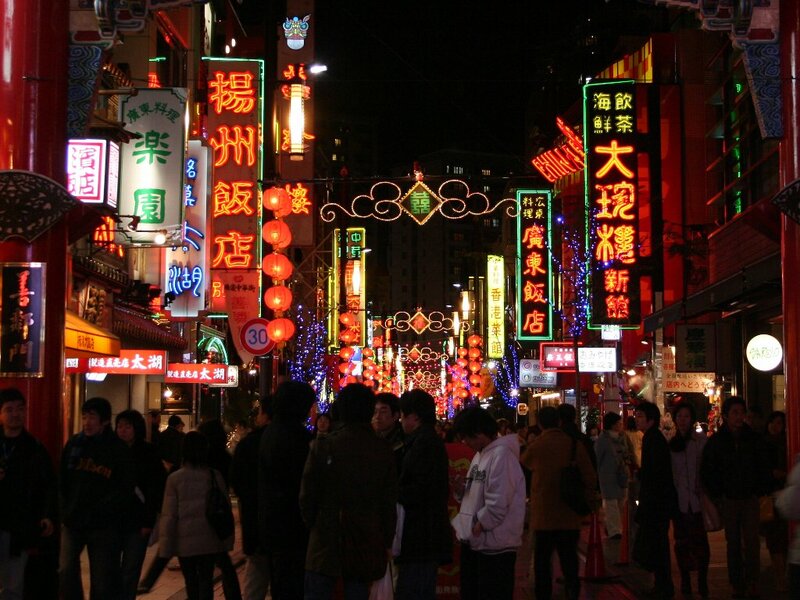 The atmosphere, especially at night with all the chinese lanterns lit up, is very charming. 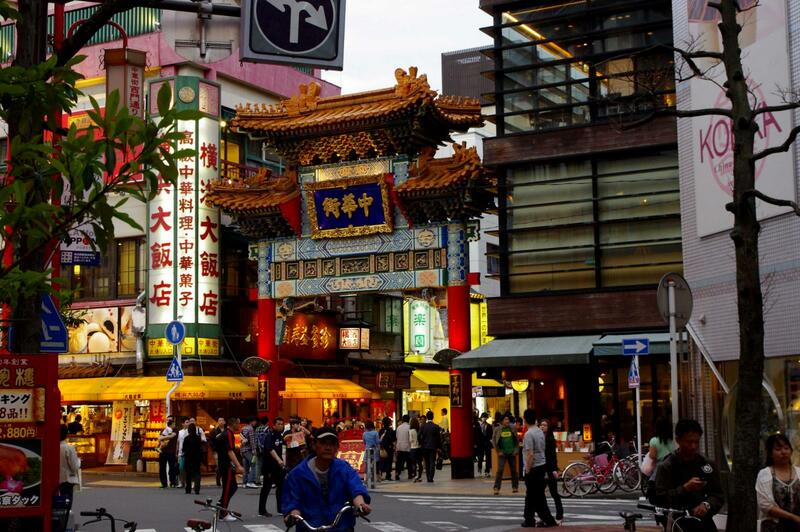 The neighborhood is very popular among the Japanese in particular for its excellent Chinese cuisine restaurants, as well as several cheap chinese shops. Slandmarks of entry in the neighborhood are the famous chinese "gates" that can be seen in all the world's chinatowns, inYokohama there are four bordering the entire area, the North gate, South gate, East gate (also called Chouyoumon gate) and the West gate, but others can be found in front of the main streets of the neighborhood, for example the Zenrimon Gate, the Tenchoumon gate or the Ichibadori Gate (in the map at the bottom they are all marked). 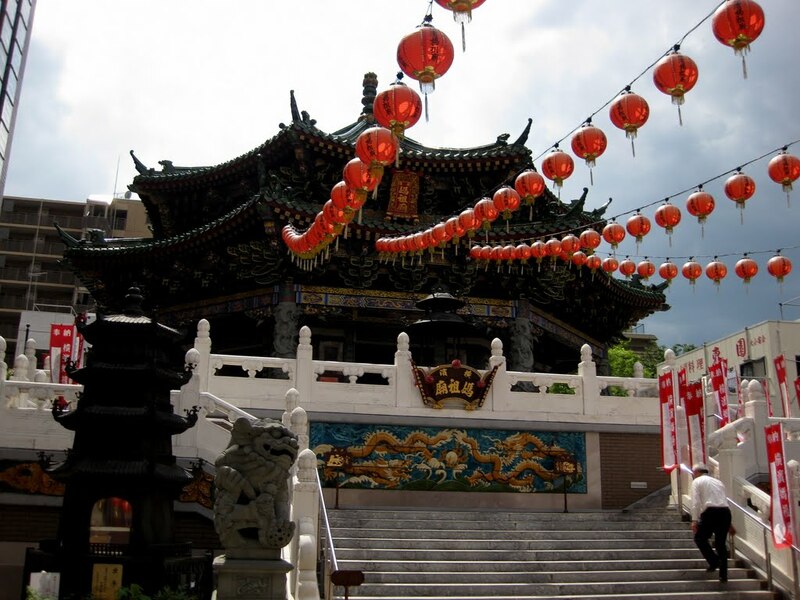 A temple dedicated to a important chinese deity, Guan Yu (also called Guan Gong and in many other ways), warrior born in 162 A.D. became legendary for his courage, loyalty and skill in battle, now venerated by Taoists as the god of literature, of war and mystic martial arts. Reading the history of this temple it seems that it is persecuted by bad luckthat, it was in fact destroyed 4 times in less than 100 years, by the Great Kanto Earthquake in 1923, by the bombing of the war in 1945, in 1981 by a lightning strike and in 1986 by a fire. So although the temple was founded in 1862 by a Chinese immigrant who brought with him from China a statue of Guan Yu, setting around a small temple, the temple has been rebuilt several times and each time getting bigger. What we see today is relatively recent, and includes other small shrines around, the works were completed in 2000. Significantly less known than the Kanteibyo and also more recent, it was built in 2006. Dedicated to Ma Zhu, an ancient Chinese Taoist goddess of the sea who later also became the protective goddess of sailors and fishermen from disasters. 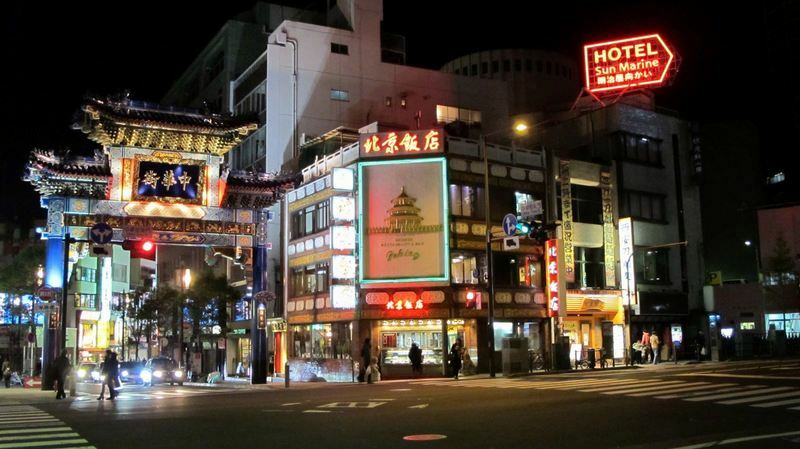 Yokohama's Chinatown is a district famous for its restaurants, people practically go to Chinatown just for that. HHowever I have heard a couple of chineses who said that Yokohama's Chinatown is a tourist place and that they never would think about going to eat there, while all the Japanese with whom I spoke are delighted of it. If you are from oversea and you are going to Japan, maybe you will not want to eat Chinese, but it could be a good opportunity to eat some particular Chinese food, often a little "japanized". Among popular dishes, I mention the Nikuman, flour dough stuffed with various ingredients, similar to the traditional chinese baozi. There are about 200 restaurants in the area. I mention a Dim Sum restaurant, a chinese "style" of eating consisting of various small plates shared with others with whom you eat and accompanied by tea: a famous restaurant is Juukeisarou (重慶茶樓). Most of the restaurants are quite expensive, especially for dinner, So I highly recommend going there at lunch time when special price menus are available. Popular are the fixed price menu "all you can eat". 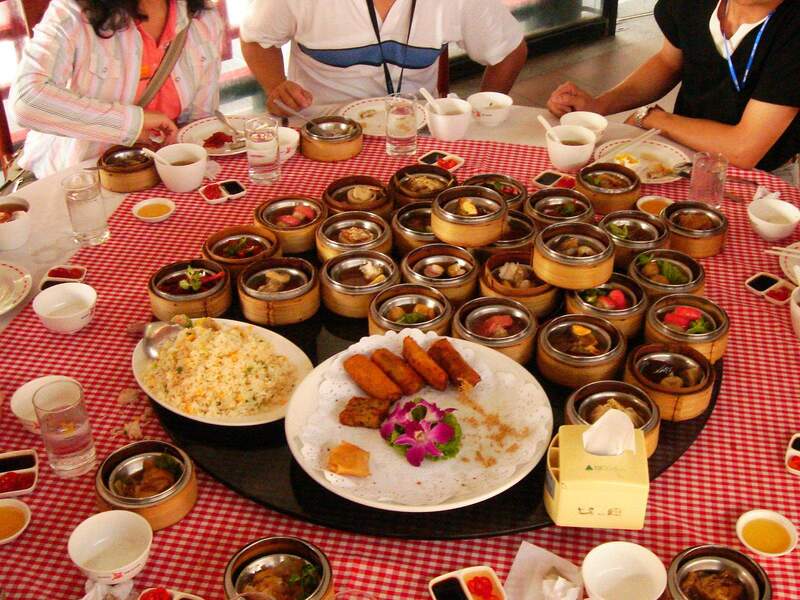 A big and famous "all you can eat" restaurant is Daihanten, who prepares dishes of all most famous Chinese cuisines (Canton, Sichuan, Shangai, Beijing). There are also many booths with take away food to be eaten in the street while walking without thinking too much, unlike the Japanese customs according to which eating while walking is a form of rudeness. One of the most popular is Edosei (江戸清), famous for its own nikuman with various fillings, it has three shops in the area. Within Chinatown i don't think there are hotels, you can sleep in one of the many in front of the nearby park of Yamashita two-minutes walk away, or in the neighborhood of Kannai, also very close (just outside the gates of Chinatown you are virtually in Kannai) and with a lot of hotels. Among the cheapest business hotels I mention the JAL City Kannai hotel, the Wing international hotel, the Super hotel. 5-minute walk south of Chinatown, in the district of Kotobukicho, one of the poorest neighborhoods (a slum) of Yokohama with a rather peculiar story behind, there are some particularly cheap hostels, the Hostel Village, the Porto Hostel, the A Silk Tree hostel. This area is not dangerous. The nearest station is Motomachi-Chukagai, served by the Minatomirai Line. Kannai station is 15-minutes far on foot from Chinatown. A few minutes walk away is the park Yamashita (Yamashita Koen), and if you want you can also get to Chinatown on foot from Minato Mirai area, it takes about twenty minutes.